Shades, lighting, audio, video and security, all at the touch of a button! Joie de Vivre allows for relaxation to the maximum, thanks to an array of custom audio, video and home automation options by AV Awakenings. 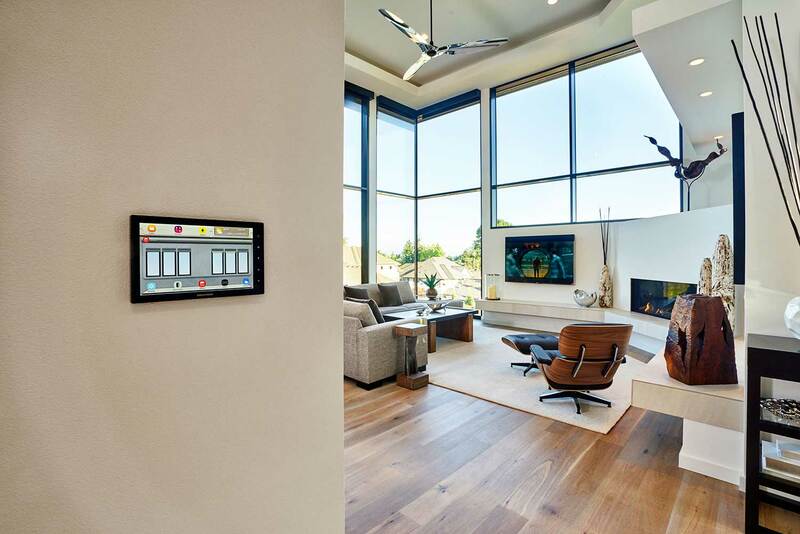 Imagine a single-button control for the home’s lighting and security system; Joie de Vivre has it. As a result, there’s no need to run from room to room turning off lights every night. 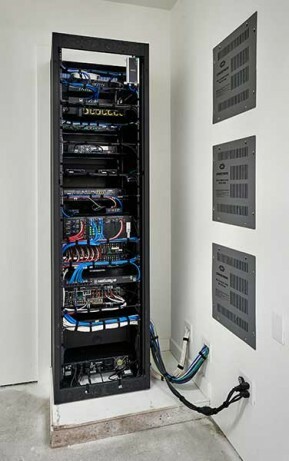 The system in this home can be controlled from iPhones, iPads, touchpanels or from backlit, engraved keypads. It even offers room-to-room intercoms, a monitored security system and front doorbell integration–all for the utmost safety and absolute convenience. The automated systems in Joie de Vivre offer special features, such as window treatments that drop down automatically at sunrise and sunset. Of course, they also open on their own when the sun begins to set and the heat of the day begins to wane. At night, lighting can adjust itself to save energy and provide an added layer of security. Entertainment is also available at every turn in Joie de Vivre. Music can be played throughout the house with convenient touchpanel controls, or by using your smart phone or tablet. The rec room offers 5.1-surround sound with a 75-inch 4k TV, so you can watch your favorite game in comfort (not to mention luxury)! Joie de Vivre is a delight to experience with all of your senses, so we encourage you to stop by for a visit and discover your favorite element of home automation for yourself!